If democracy is to survive and thrive, duties have to be as important as rights and tolerance must be the foundation of public and private life, says Rajni Bakshi. A hundred years after he landed at Bombay's Apollo Bunder on January 9, the presence of the civilisational Gandhi was palpable in the city now called Mumbai. Several public events, including a march in south Mumbai, commemorated the return of the historicalGandhi -- a politician and votary of non-violence who led India's freedom struggle. But the essence of why Gandhi is relevant to the future of civilisation was captured by India's former Attorney General Soli Sorabjee, while delivering a lecture in memory of yet another lawyer, Rajni Patel, at Mumbai's Nehru Centre on January 9, 2015. If democracy is to survive and thrive, Sorabjee said with emphasis, duties have to be as important as rights and tolerance must be the foundation of public and private life. Sorabjee began by noting that the demand for fundamental rights in India goes back to the Swaraj Bill of 1895 and then took various forms in the years leading up to Independence. While this was an important historical development, Sorabjee said, it was Mahatma Gandhi who repeatedly argued that all rights come from duties well performed. 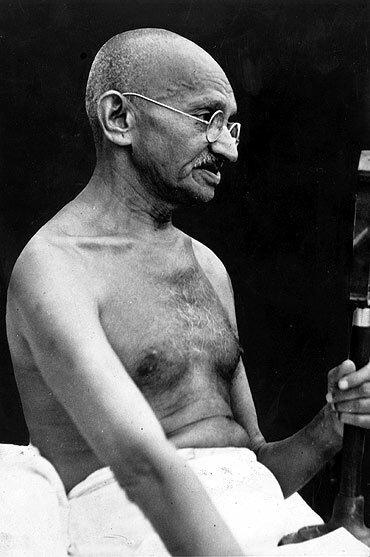 Gandhi was drawing on ancient texts of various traditions which have held rights and duties to be closely correlated. In India, oddly enough, this was changed during the Emergency through the 42nd Amendment to the Constitution which incorporated ten Fundamental Duties in Article 51 (A). At the United Nations the emphasis on duties came only in 1998 and took the form of the Declaration of Human Duties and Responsibilities. While rights can be enforced by courts of law there is still no clarity on whether duties are similarly justiciable. Sorabjee particularly emphasised this particular section of the Fundamental Duties: To promote harmony and the spirit of common brotherhood amongst all the people of India transcending religious, linguistic and regional or sectional diversities; to renounce practices derogatory to the dignity of women. Like Gandhi, Sorabjee's focus was not so much on the legal application of this provision of the Constitution but on people at large living their daily life by these values. Such a passionate reiteration of core values, important at all times, was all the more poignant because the lecture was delivered on the very day that Gandhi landed in India. Gandhi's return to India was also the theme of this year's Pravasi Bharatiya Divas gathering which also concluded on January 9 in Ahmedabad. According to media reports, discussions there revolved around both Make-In-India and make India. It is not clear if tolerance as a duty featured in those discussions as a pre-requisite for making India. Rajni Bakshi is the Senior Gandhi Peace Fellow at Gateway House: Indian Council on Global Relations.